In Shark Tales, Barbara shares her hilarious stories about growing up, getting into trouble, failing miserably, and then starting over again. In each chapter, she comes back to one of her mom's unconventional lessons, and how it applies in the real world of business. Whatever your calling, the homespun lessons that work for Barbara will help you use what you've got to create success in your life. Whether you're just starting out, fighting your way up the career ladder, or reentering the workforce, Shark Tales is an owner's manual to your most valuable asset. 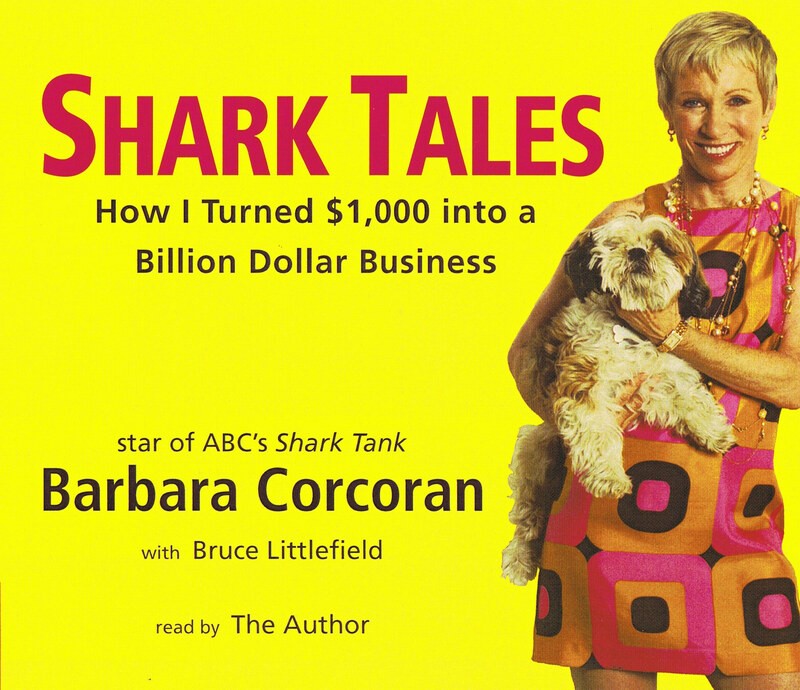 Growing up, Barbara Corcoran shared one floor in a three-family house in New Jersey with her parents and nine brothers and sisters. She had few luxuries, but she was blessed with a mother who taught her to have self-confidence. Barbara's mom didn't know much about business, but she understood how the world works, and how to make the most of what you've got. After failing at twenty-two other jobs, Barbara borrowed $1,000 from a boyfriend, quit her job as a diner waitress, and started a tiny real estate office in New York City. Today, with over $2 billion in revenues, The Corcoran Group in New York's premier real estate company, and Barbara is richer than her wildest dreams. Barbara, who wrote this book with the noticeably skilled help of career lifestyle writer, Bruce Littlefield, lives in New York City with her husband, son and four stepchildren.